Is the pro-life movement doomed to lose the public relations battle? If so, it’s not because we don’t have the better argument—we do. It’s not because we don’t have great warriors, orators, and persuaders—we’ve got the best. It’s because so many of the intangibles that drive the movement and inspire the pro-life soul are forged in what William Butler Yeats called “the deep heart’s core.” They don’t translate well into soundbites. Our bedrock belief that all life is sacred is often incubated in private—while caring for an elderly relative, raising a child with special needs, or overcoming the fear of an unplanned pregnancy. These situations can be messy and complicated. They test our patience in often visible ways. To the outside world, living such a life can appear tedious—a really rough burden. People are often repulsed by what they see. Those who are in the thick of it know the truth, of course. Away from prying eyes come countless unexpected and bountiful blessings. These graces swell our souls yet are rarely obvious. My daughter has Down syndrome. From the moment she was born, I felt the need to show her “best face” to the world. 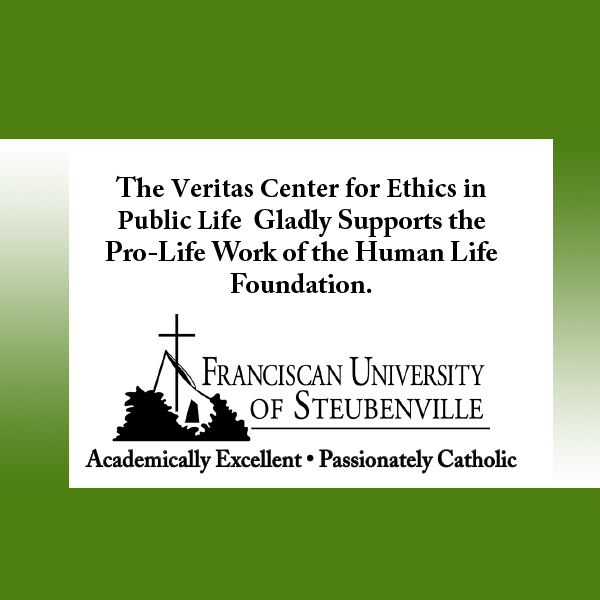 It was my misguided attempt to do some pro-bono public relations for the pro-life side. Now 11, my daughter has been a great teacher for me, not the least on the subject of pride. For years I wanted to capture her being “typical” as much as possible. Better yet, I hoped she’d prove herself precociously talented in some area so she might seem even better than “typical.” Somehow I thought that if the world could see her exceeding expectations negative stereotypes of intellectual disability would be undone. Perhaps, I thought, I could “prove” her worth and the worth of others like her. My desire manifested itself, at least partly, in an absurd focus on my daughter’s annual class photo. In the nursery and early elementary years, I naturally wanted her to appear cute and tidy, but I also wanted her to seem like “one of the gang.” It didn’t matter that her regular school day was a complex puzzle of difficult transitions, unpleasant behaviors, and inconsistent academic progress. I wanted her “public face” to be her best face. I wanted that class photo to knock people out with how absolutely regular it was, how totally unremarkable. Unsurprisingly, I was never satisfied. In one year’s photo, my daughter’s hands are in the tight grip of an aide—the aide’s veins are visible on her clenched wrists—who is preventing my daughter from pulling a classmate’s hair. In a shot from another year, all 20 kids sit in three neat rows, with my daughter a foot off to the side, separated from her classmates by her aide and the teacher. Obviously, she needed a couple of towering body guards that day. Finally, in the most recent year she attended public school, my daughter did not appear in the class photo at all. She’d had a meltdown in the hallway beforehand when she learned that due to rain the photo would be taken inside the gym instead of out on the lawn. A sudden change of plans often triggers my daughter’s anxiety. I wondered: Was God sending me a message about my class-photo obsession? Was I also learning that “public faces” can be false faces? Every life is complex; few lives can be summed up by a snapshot. Who can photograph the many ways in which I have learned to love more profoundly and embrace difference more warmly because of my “special” child? A “public face” can only tell you so much, something I’ve also learned from my friend circle, which is mostly made up of Catholic homeschooling moms. These women are completely open to life in all its messy, unexpected, and sometimes tragic glory. Most have many children; some have adopted. Infertility, miscarriage, home births, surprise births, pregnancies that carry a grave risk to the mother, births in seasons of financial instability . . . this crowd has seen it all. Their faith in God’s guiding hand concerning family matters is astounding. In being with these women my belief in the sanctity of life is constantly refreshed. Once a week, we moms steal a few moments here and there to sit around the big table at our co-op and commiserate. From the outside, we look a little haggard. About half of us are either rounded with pregnancy or thick with post-partum pounds. Almost no one has had a full night’s sleep in years. Infants cling to us. The wails of indignant toddlers pierce our conversations. The table is strewn with half-eaten bagels, pacifiers, dirty paper towels, and buzzing phones. Our talk is of ear infections, little-league politics, and nasal aspirators. I doubt we’d inspire a glossy feature on motherhood in the New York Times. In fact, in some circles we might be the object of mockery—for shelving our law degrees, journalism careers, nursing licenses, concert-pianist training, and Ivy League credentials for a life of snotty noses and math drills. But, again, while we may not have up-to-date CVs and cutting-edge fashion, we know the tradeoff is worth it. In fact, few of us would even call it a trade-off. What looks like a life of drudgery contains a thousand—a million?—daily graces. Our gratitude for the gift of life is so deep, wide, and primal that it defies words. That’s what’s so good about it. That’s also the problem. Gratitude doesn’t show up in photographs. 371 people have visited this page. 1 have visited this page today. Ursula Hennessey lives in Connecticut with her husband and five children. She is a former sports journalist and elementary school teacher. Well said, my friend. All of it, but especially this… “we know the tradeoff is worth it. In fact, few of us would even call it a trade-off. What looks like a life of drudgery contains a thousand—a million?—daily graces. Our gratitude for the gift of life is so deep, wide, and primal that it defies words. That’s what’s so good about it.” Thanks, Ursula! Rock on, Ursula! Save those babies! Say hi to your daughter.